Amazon has launched a set-op box called Fire TV in the US, this is the latest push into the increasingly crowded home entertainment space. 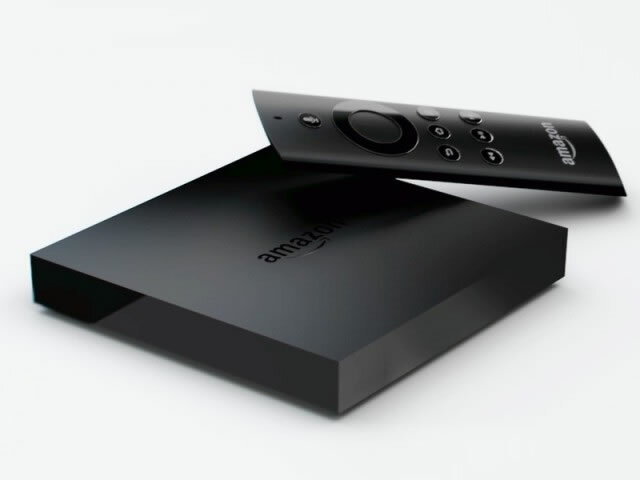 The Fire TV unveiled by Amazon will retail at $99 and is powered by Android. Fire TV is a video and game streaming device, it will compete with the likes of Apple TV and Google’s Chromecast device. The Fire TV will stream content from the like of Netflix, Hulu etc., it also plans to launch video games specifically to the platform. 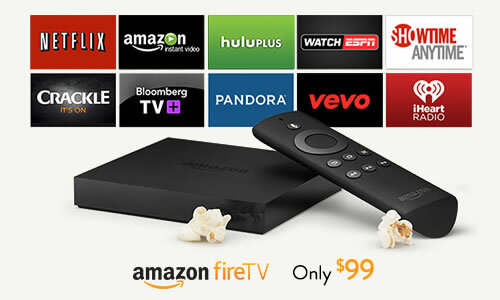 Fire TV is a tiny box that fits in your palm, it can be plugged to your HDTV to get all the entertainment you want, it works with Netflix, Hulu Plus, Prime Instant Video and more. If you are a Amazon Prime Instant Video subscriber you get unlimited, commercial-free streaming of content including movies and TV shows on Fire TV. It also allows you to play games like Minecraft and other games that are lined up for the product. Amazon is selling a Amazon Fire Game Controller for playing games, it will retail at $40. It includes a voice search component, so instead of searching with the remote you can say what movie or video you want and le the Fire TV search it for you. I includes a feature called ASAP (Advanced Streaming and Prediction) that learns from your watching behavior and gets the videos and movies you like to watch ready for you. Like any other prediction engine it gets better as you watch more videos and movies over time. Fire TV includes a Quad-core processor inside along with Adreno 320 GPU and 2GB of memory. 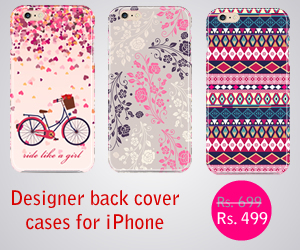 It features a dual-band, dual-antenna Wi-Fi. It can play 1080 video and supports Dolby Digital Plus upto 7.1 output. Fire TV retails at $99 in US and add $40 for the Fire Game Controller if you want to play games. Is he Fire TV interesting for you?, or Amazon is late for the home entertainment party.